2019 and Beyond....Floyd has 25+ years of experience in the markets! Floyd Upperman and Associates have been providing this service for more than two decades! Through this website Floyd provides innovative COT tools that are unique and provide valuable insight into market activity. Deep historical CFTC Commitments of Traders (COT) analysis including the new disaggregated COT report! Access to Floyd's help through email. 24hr Live assistance available too. Using statistical analysis to analyze the data contained in the COT reports. Our COT analysis is combined with unique price indicators, price patterns and seasonal studies to time entry and exit in the markets. The custom navigation program ("CNP") also provides members with the ability to review past market conditions exactly as they appeared in the past. This tool can help traders develop and improve their instinct. Members can go back through past trades (previously selected by our system and/or highlighted in Floyd's old reports) and walk through the chart changes that led to the setup and the results that followed. This is an excellent way to learn how the COT and price indicators work, and to learn what the COT conditions look like before, during and after trading opportunities. This practice reinforces everything Floyd teaches, which is all based on the history of the markets and the way the markets have behaved in the past. Although past performance is not a guarantee of future performance, cycles continue to exist and always will. Markets reflect the behavior of humans (fear/greed) and have remained pretty consistent over the years. Thus, the same COT conditions form again and again as well as different price patterns as markets go through the gyrations of changing supply and demand. 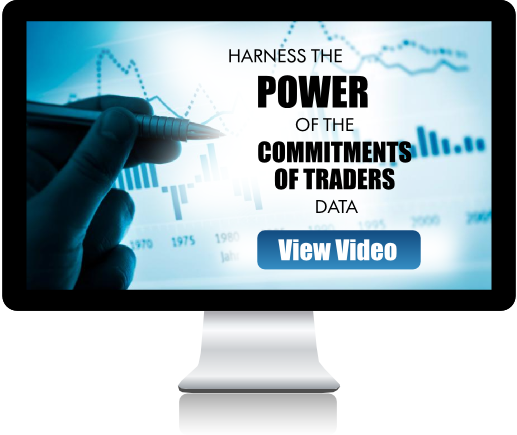 Membership access to online COT charts & graphs with custom statistical analysis of market participant activity!